Love your existing loudspeakers? 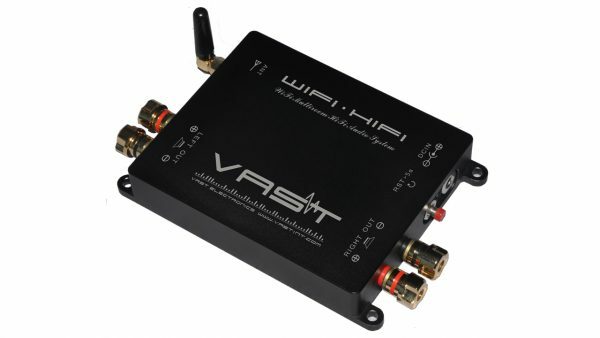 By combining a powerful stereo amplifier with WiFi and DSP technology, from all our Android devices, iPhones, Tablets, and even through the PC using WMP or iTunes. You can play any music stored on any devices or connected to the network play streaming music without getting out of your chair. The WiFi-HiFi System lets you keep using your favorite bookshelf, floor model, or even installed wall and ceiling speakers. •Multi-room, Multi-user and Multi-speakers! Multi-user can player different music in Multi-room the same time. •Don't dock, Don't signal line! You can play any music stored on any devices or connected to the network play streaming music without getting out of your chair. •Don't remote control! User can adjust the volume/pause/previous/next via the player on your smart phone or Tablet It will not change the users’ habits. •Don't pulling speaker wire through walls! Our system adopt wireless distributed solution. •Don't install App! Our system perfect Combined Android and iOS music player. 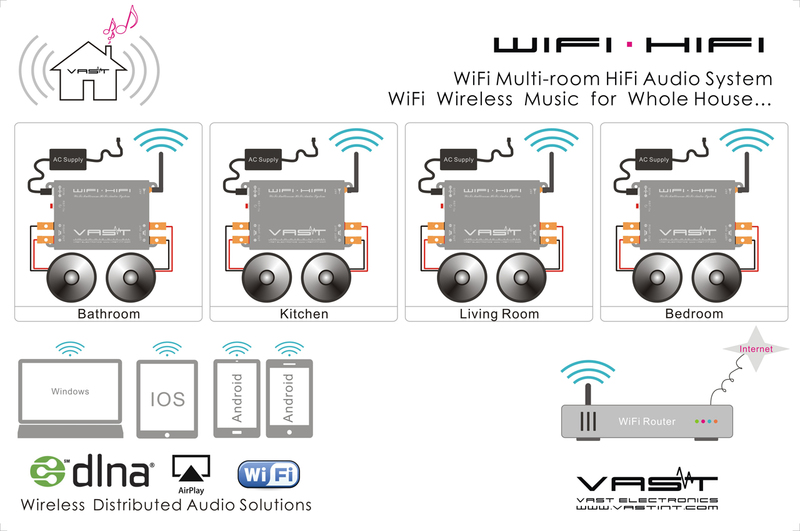 • WiFi-HiFi system working mode: AP Client (by default)/AP/STA, User can install 1set or more. • This product can be powered by any DC power supply ranging from 12 to 20V, This voltage also can suitable on RV/ Travel Trailer / Caravan/ Yacht. • Quality sound performance, 2 x 45W RMS Hi-Fi sound with Class "D" Digital Amplifier. You can use it to drive any 4Ω - 8Ω passive speakers. • Built-in WEB server to easily configure the WiFi. • The Mobile phones and PC does not request installing any drive software or connecting transmitter device. • Support 802.11n, none compression audio transmission. 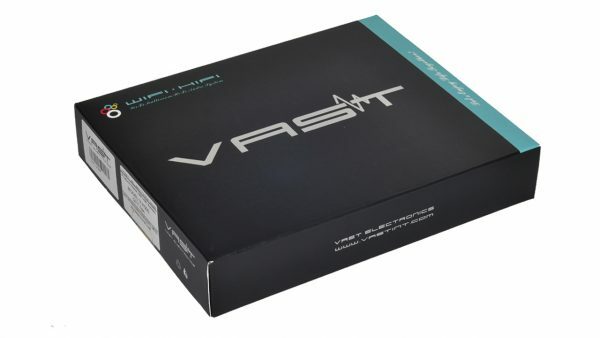 • Using professional DAC decoder chip to decode, pursuing HiFi quality to satisfy your picky ears. • Audio Format Support: MP3/ WMA/ AAC/ AAC+/ ALAC/ FLAC/ APE/ WAV. •You can playback local music and network streaming contents, Such as internet radio etc. • WiFi frequency 2.412GHz-2.484GHz, Support 802.11b/g/n Standard. • Aluminum waterproof shell, good heat dissipation, to guarantee product stability, premium quality.